Porsche has revealed the new convertible version of the 911 Carrera, and it's getting all excited about the folding roof. The new Cabriolet model shares the same aluminium-steel body of the Coupe, but gets an ‘all-new, unique hood’ according to the manufacturer. The lightweight design of the car, which includes the use of magnesium in the hood's frame, improves responsiveness, lowers fuel consumption and ensures greater comfort compared to the cabriolet's predecessor. Well, so Porsche say. But then they would. As well as being lighter, the Cabriolet also gets the longer wheelbase, wider front track and new electro-mechanical steering of the Coupe. This, apparently, all adds up to more sporting driving characteristics and greater precision compared to the previous model. On the engine front, buyers get the same choice as the Coupe. There’s the 3.4-litre engine producing 345bhp or a 3.8-litre generating 395bhp. Both engines will come with a seven-speed manual gearbox, although the seven-speed PDK automatic gearbox is available as an option. 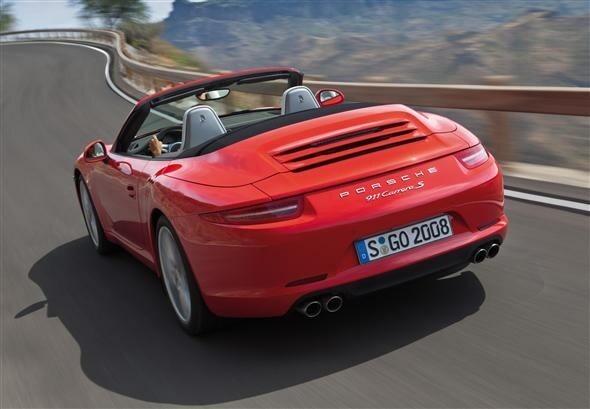 Porsche is also cooing about the economy of the two engines, both offering a claimed average of 28mpg. 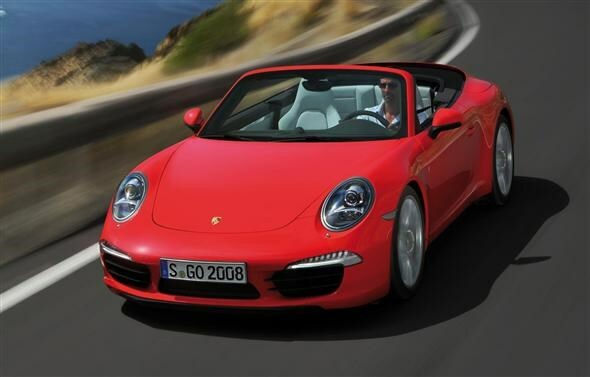 The 911 Carrera Cabriolet goes on sale in the UK in March 2012. Prices will start at £79,947 rising to £89,740 for the S Cabriolet model.